This blog was published February 17, 2017 and updated January 17, 2019. Use this month to deepen cultural responsiveness in both your content and practice. We support your efforts with these thoughtful lesson ideas that you can use to discuss black history and the relevance to current events, and to think critically about how you can embed underrepresented groups into your teaching all year round. 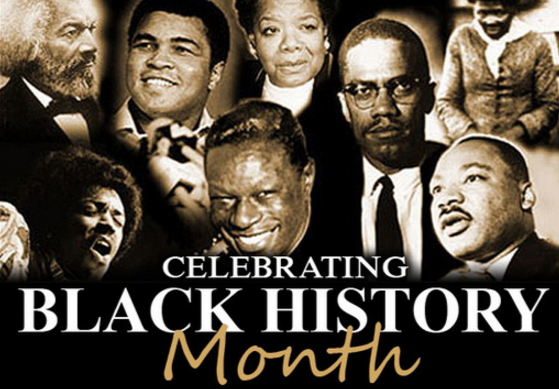 Read more about the history of Black History Month, and review the lessons and resources below that you can use in your classes this month. The novel is closely modeled after Thomas’ experiences as a student, and on the stories of several of the young men who have been victims of racialized police violence in recent years. In this audio story, the author talks about what inspired her to write this groundbreaking novel. Listen to this interview with one of the editors of this collection to learn what Hughes’s letters reveal about who he was as a man, an African American, and a writer. In this audio story, African American poet, writer, and artist Claudia Rankine talks about her exploration of the connections between race and blonde hair. Listen to hear about what the artist discovered when she explored the connections between race, identity, and blondeness. Listen to learn more about Hurston’s experience working for the WPA and how specific areas in Florida have or have not changed over the past 70 years. Listen to learn about the first African-American woman to be published in the United States. Boxer Muhammad Ali is being remembered as a great athlete and humanitarian. He became a conscientious objector to the Vietnam War, converted to Islam, and he became an ambassador for his religion. He never apologized for his beliefs, even at great personal cost. Maya Angelou was an author, poet and icon. She grew up during segregation and used her work to empower and give voice to the African American community. Listen to learn about the racial segregation that existed when Marian Anderson was not allowed to sing in a segregated venue 1939. Environmentalist and human rights activist Wangari Maathai led the fight against mismanagement of Kenya’s natural resources. Listen to hear about her work for peace and democracy. Malcolm X was both charismatic and feared, and he advocated black power and pride as a response to white racism. Listen to hear about the life and legacy of this influential black leader. Harriet Tubman escaped slavery and then used her freedom and the Underground Railroad to free more than 70 slaves. Tubman lived a purposeful life fighting slavery and also fought for women’s suffrage after the Civil War. Frederick Douglass was born into slavery in the early 1800s, escaped, and went on to become a famous abolitionist. A renowned author, speaker, and activist. Listen to hear how Douglass’s use of photography furthered the abolitionist cause. Nigerian novelist Chinua Achebe’s 1958 novel “Things Fall Apart” provides a contrast to Conrad’s “Heart of Darkness,” describing the British colonization of Africa from the perspective of Africans. In this audio story, Achebe talks about how his understanding of “Heart of Darkness” changed over time. Nelson Mandela, former South African President and leader of the anti-apartheid movement, was also labeled a “terrorist.” As protests against the government grew from peaceful to violent, learn more about why Mandela was forced to call for armed struggle by listening to this story. In 1947 Jackie Robinson was the first African American baseball player to play in Major League Baseball. He was an older player and was not seen as the best player but had a strong character that helped to successfully integrate baseball. This story remembers a time when basketball was not integrated. Listen to learn about the climate in the 1960s and how Perry Wallace, the first black varsity athlete in the Southeastern Conference, survived and thrived. Warning: Quotes in this story contain strong language. The play “A Raisin in the Sun,” which reveals the struggles black families faced as they attempted to achieve the American dream in the 1950s. Listen to this story to learn Lorraine Hansberry’s motivation for writing this iconic story. Listen to this story about the American space program and group of African American women who played a key role in the program’s success. James Baldwin’s writing on race, class, and the Civil Rights era in America urges audiences to consider how racial tensions and attitudes continue to influence us. Author Richard Wright is well known for his novel “Native Son” and autobiography “Black Boy.” Listen to learn more about the impact Richard’s Wright’s experiences and writing had on his reader. This artist made it his life’s goal to make black culture indispensable and undeniable to the art world. Marshall has dedicated his career to combating the historical under-representation of black culture in history. Listen to hear how this museum aims to tell the true story of slavery, and what we as a nation can learn from it. In 1741, New York City was shaken by an uprising led by African slaves. Listen to hear about the history of the revolt and what the revolt of 1741 can tell us about society today. The Nubian Pharaohs came from the area of modern-day Sudan and ruled Ancient Egypt for a half century. Listen to learn more about the “Black Pharaohs” and their remarkable history. First-person slave narratives were the first honest account of the experience and were used by the abolitionist movements to show the reality of slavery. Listen to learn more about the first-person account of freed slave Olaudah Equiano, shared in his autobiography. Many black slaves joined the British army during the Revolutionary War, as the British had promised emancipation, or freedom, in exchange for their service. Listen to hear more about what happened to the African American slaves after the Revolutionary War. National Museum of African-American History and Culture opened in Washington D.C. in September 2016. Listen to hear more about this museum displaying 3,000 artifacts that recently opened to the public. African Americans faced strong, often violent, opposition to equal rights. At the University of Alabama, the state’s Governor, George Wallace stood at the door to protest desegregation. Listen to hear more about his contentious views and his lasting impact on politics. In 1960, four black teenagers demanded service at an all-white lunch counter. Listen to remember one of those protesters and reflection on his life and impact. Listen to hear the research of conflicts and resistance movements over time and the effectiveness of fighting back without violence. Have students use this analysis to better understand the two sides of the Civil Rights Movement – Martin Luther King Jr’s message of nonviolent resistance and Malcolm X’s Black Power philosophy. Listen to the parallels between the race struggles of Martin Luther King half a century ago and the Black Lives Matter movement of today. Civil Rights protests have recently included the protests of police taking Eric Garner’s life, Freddie Gray’s life, Michael Brown’s life, Alton Sterling’s life, Philando Castile’s life, Tamir Rice’s life and Anthony Lamar Smith’s life. Other protests of racial injustice include protests of Charlottesville, student protests at Universities, and the NFL protest, Take a Knee. Current events happening now relate to many historical events and studying the current events can help students understand the past. Fifty years ago, protest at the Edmund Pettus Bridge in Selma, Alabama exposed the nation to the racial injustice and led to the Voting Rights Act of 1965, forcing all municipalities to allow black residents to register to vote. Listen to learn more about this historic event in the Civil Rights Movement from people who participated in Bloody Sunday. Reverend Martin Luther King, Jr. gave his “I Have A Dream” speech in 1963. A recording of the first known version of the “I Have A Dream” speech was recently discovered. Listen to hear about the memories of someone who heard it first as a high school student in 1962. Use these resources from the National Speech and Debate Association to inspire your debate team during the month of February and beyond. Use these summaries of prominent figures, practice with these prompts, or debate these examples of legislation. Courtesy photo – Central Michigan University.